The delightful Yagoda Village in Borovets comprises of around 38 chalets. It has the same friendly atmosphere and wonderful pine surroundings that you would find in the Malina, only that it is decorated in a wooden Scandinavian style. Some of the villas at Yagoda village have private saunas while there is one main sauna in the village and a cosy restaurant. 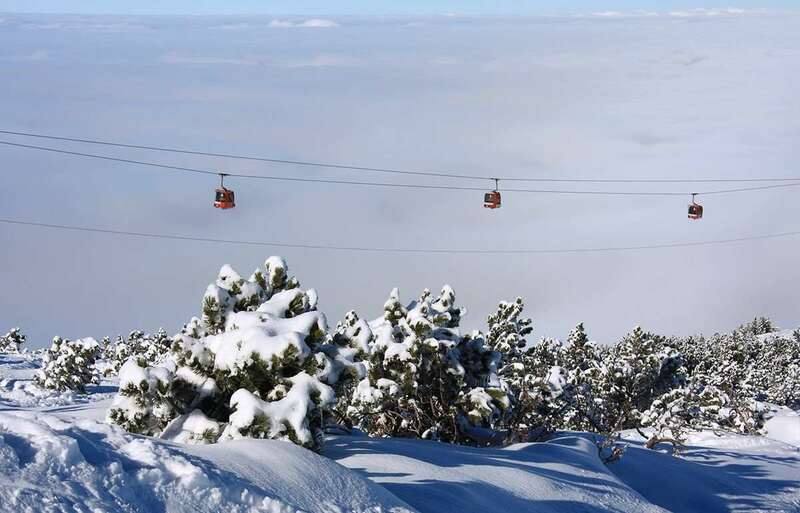 A complimentary shuttle bus will enable you to make the most of the après-ski in Borovets. Bed & Breakfast £4.60 (adult); £2.60 (child) • Half Board £10.80 (adult); £5.70 (child) • Christmas dinner £29.00 (adult), £14.80 (child) • New Year's Eve dinner £40.30 (adult); £20.50 (child) • Villa with sauna from £0.90 • For clients who upgrade to Half Board Christmas or New Year's Eve dinners are compulsory. We wanted to take our son of 3 years on a winter wonderland trip for Christmas and we choose Borovets as a cheap alternative to Lapland. Knowing it was a mostly a ski resort we went with an open mind. Despite not nearly getting there because of the snow in the UK (Ironically little snow in Borovets) we had the best time ever, the cabins were lovely and cosy and Christmassy despite the lack of decorations. All the staff at the Yagoda resort were lovely and friendly. The restaurant provided very high quality meals and did not scrimp on the portions. As we were on a no ski holiday we wanted other activities to do and the travel company provided an ample amount of them at very reasonable prices and they too were very friendly. Without a doubt I would return to Borovets and the Yagoda it really was a magical Christmas for us!